The Auto Union 1000 was a front-wheel drive oddity that predated the Auto Union & NSU marriage that became what we know today as Audi..but its spirit is still uniquely German and Audiesque. 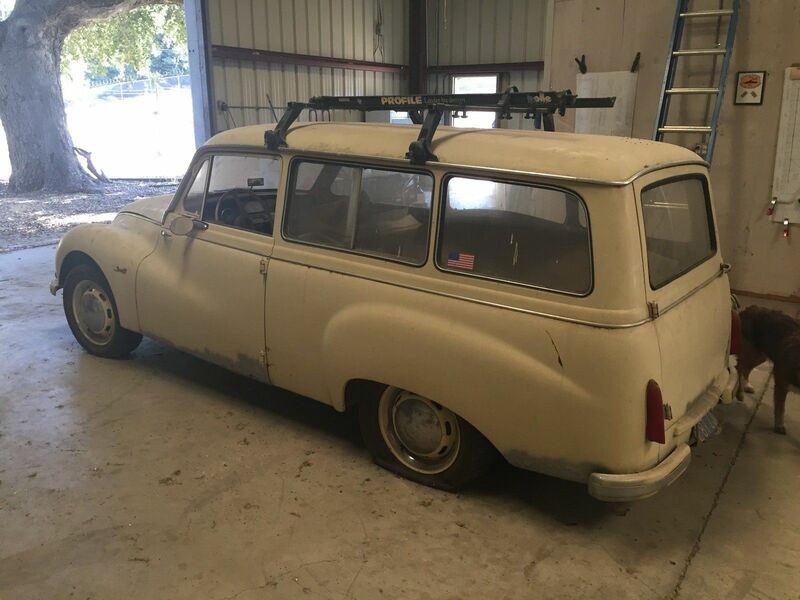 Find this 1957 Auto Union 1000 Estate here on eBay bidding for $2,000 in Boulevard, CA with 4 days to go. Up for sale is my 1957 Auto Union "Universal". It is a pretty clean example with the engine looking all original. The VIN tag is there and legible. I also have some spare parts in a box in the car, such as trim pieces and such. 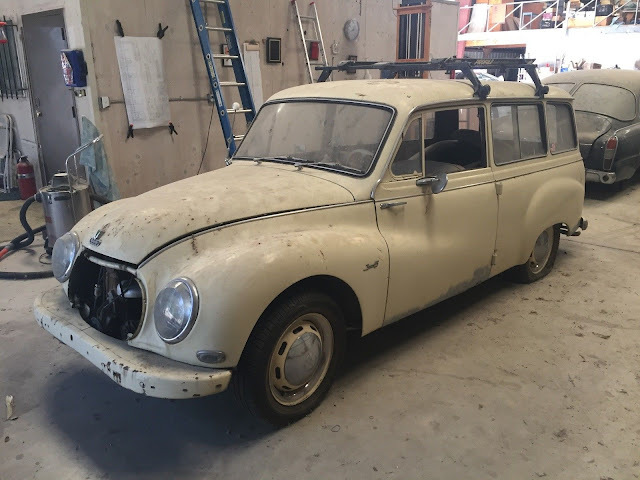 Good project and something rare for an Audi or VW fan. Love those 2-strokes! What is the car with the split rear window parked behind the Auto Union?